It’s easy to take email for granted. It’s been around longer than social media, instant messages, and websites themselves. We send and receive billions of messages every day. We can email at home, at work, or on the go. Communicating with someone around the corner or around the globe has never been easier. Despite its advancing age by tech standards, email is still the wunderkind of connection, engagement, and reach. Better than instant messages? You bet. And when it comes to both B2C and B2B customer acquisition and retention, there is literally nothing better suited for the task than the humble email. As you can see above, the top two challenges for marketers are generating traffic and leads, and proving the return-on-investment for marketing activities. Email can deliver on both fronts: it’s great for acquisition, and it’s easy to demonstrate its worth via cost versus opens, clicks, and conversions (i.e. money spent versus money earned). The number of worldwide email users is expected to hit 4.3 billion by 2022. That represents more than half of all people living on the planet. That’s unparalleled reach. Email is also the preferred communication channel for 72% of consumers, and a whopping 85% of American adults check it at least once per day. How’s that for popularity? So, if you weren’t convinced before, I trust you are now. Email should be at least part of your marketing mix, and it deserves to be the focus. But that’s not to suggest you can bang out any old message and send it off. There are dos and don’ts and best practices. When you’re in the B2B world, you of course want to keep it professional. 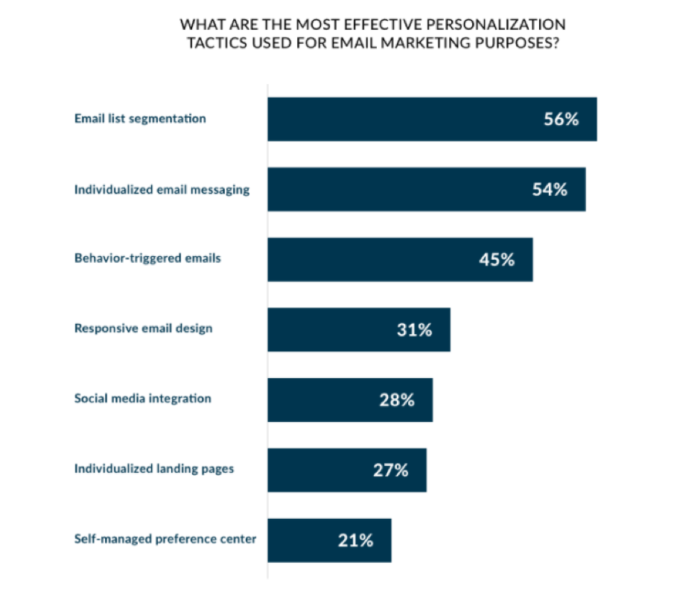 But what else can you do for your B2B email marketing in 2019? Try these best practices. Before you do anything else with email marketing, you need to have an email list. You need the names and addresses of individuals who would benefit from whatever it is you’re offering. But building your list is just step one. Equally important is keeping that list clean. Email lists naturally degrade by about 22% each year: abandoned domains, staff turnover, uninterested and disengaged recipients. If you’re not regularly scrubbing and verifying it, that’ll eventually catch up to you. An unscrubbed list increases the likelihood you’ll end up sending to a spam trap. Continue to send to old, obsolete addresses, and you’ll see a much higher bounce rate. Continue to email disengaged recipients, and you’ll likely see an uptick in unsubscriptions and complaints. Those last three directly impact your sender score, which is essentially your reputation as an email sender. The higher your score, the more likely your emails will make it through spam filters and other impediments to reaching someone’s inbox. 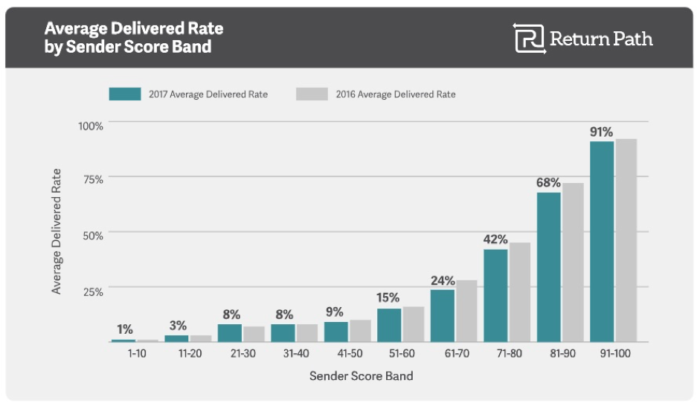 The lower your sender score, the lower your deliverability rate. Put bluntly, there is no excuse for not maintaining a clean list. None. A verification tool like Norbert’s can quickly and affordably scrub your list clean of duplicates, bad formats, and inactive or invalid domains at the click of a button. Build your list. Clean your list. Perhaps counterintuitively, we expect much higher levels of personalization even as we rely more and more on digital tools and channels. Treat your recipients like nothing but a faceless name, and you won’t get much of a response. They want to feel recognized as individuals, and see that you’ve put some effort into learning about them. Email is ideal for this. Collect personal details while building your list, and you can automatically include them in your email marketing with mail merge. Dozens or hundreds of emails go out, but each one is personalized for the individual recipient. It can be as simple as using a recipient’s name, company name, location, and a few other easily-found details. Bonus points if you can dig a little deeper and include more than just the basics. The more you personalize, the more your message will resonate. Segmentation, personal details, behavior-triggered messages, and more: try one, try a few – just make sure to try. 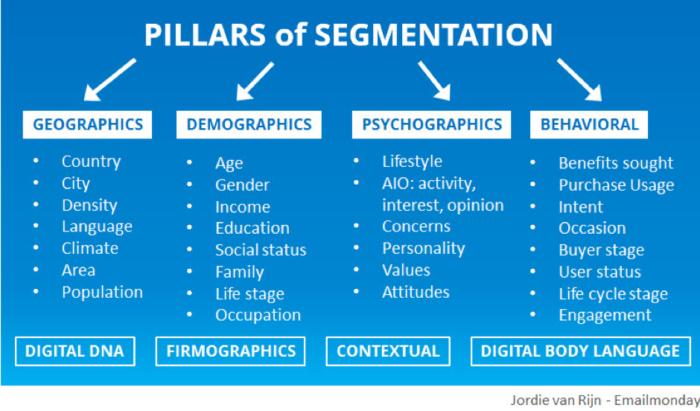 The fastest and easiest way to dip your toe in the personalization pool is to segment your list. If you’re sending the exact same message – even if it’s personalized to some degree – you’re doing it wrong. Your list should be segmented into smaller groups that share a common trait such as industry, location, or job title. That way, you can write a template for each segment and you’re already personalizing before you add in a single individual detail. You can build a message around that shared characteristic or pain point or benefit. Work smarter, not harder. And don’t be afraid to segment down to relatively small groups, either. In fact, studies found that the smaller the segment, the higher the customer value uplift. Legendary ad man David Ogilvy said that your headline is 80 cents out of your dollar. The same is true of your subject lines. We look to the subject line – and perhaps the first sentence if it also appears in the preview panel – to decide whether to open or delete. It’s absolutely crucial that you have a good one. In fact, 47% of us decide whether to open an email based on the subject line alone. Keep them clear, precise, and concise. And A/B test them frequently to find what works best for your targets. No one has time to read lengthy emails from strangers. Ramble on, and you’ll squander the opportunity given to you when someone does click and open. Another found that those with roughly 20 lines of text – or 200 words – generated the highest click-through rate. As a general rule, aim for 200 words or less. Get to the point. Skip the lengthy introduction. What’s in it for them? You might not immediately associate email with visual content, but you should. The data on this is very clear: emails with images and videos perform better than those without them. Emails with 1-3 images have the highest click-through rate. 65% of recipients prefer an email contain mostly images, while only 35% prefer it to be mostly textual. Every email you send should have a strong, compelling, and easy call-to-action. What one thing do you want them to do? Keep it simple, low commitment, and easy to accomplish. But do nudge them to do something with every message you send – something for their benefit, not yours. Hands down, the biggest mistake marketers make with their email effort is giving up too soon. If you take only one thing away from this post, let it be this: you have got to follow up with your emails. Study after study confirms what good marketers already know: if you follow up, you increase the number of responses you get. A good follow-up email does not simply say “Hey, I’m just following up.” It adds more value with every subsequent message. So keep them coming. Add more value. Follow up. Other email best practices include automating wherever possible, using both triggered and transactional emails, tracking, testing, and tweaking over time, and looking to successful campaigns for inspiration. Email may be old, but it’s not over the hill. It’s still leading the charge. Give it the time and respect it deserves.